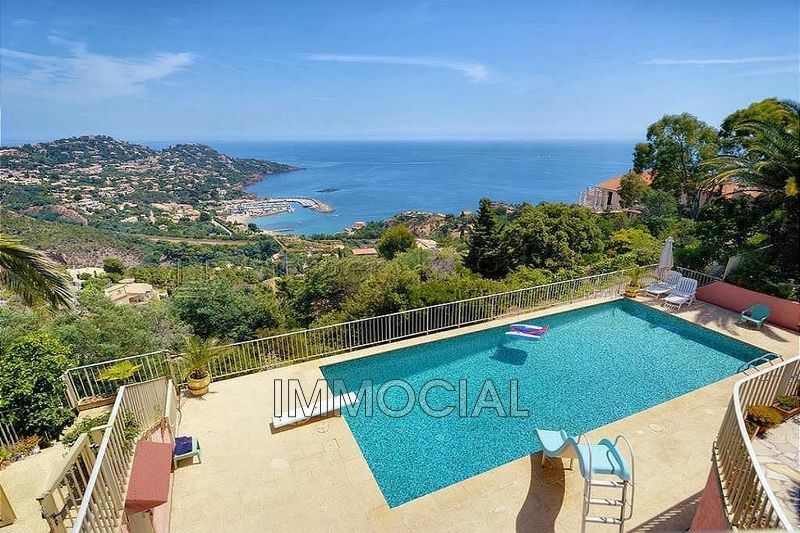 Sale of this provençal style villa in a residential area of ​​Miramar on 2 levels with swimming pool 5 minutes from the beaches and the port. With a living area of ​​about 130 m² and a semi-steep garden of 1500 m² fully enclosed. Composed of an entrance hall, double living room with large windows overlooking the terrace, with superb views of the Bay - an independent kitchen with access to the terrace - the master bedroom with its en-suite bathroom with toilet. Internal stairs lead to ground floor level, with three bedrooms and two shower rooms - outside below the bean shaped pool 9m x 5m with outdoor shower. A closed garage and a closed parking upstairs.